A young girl lives with her uncle after the tragic loss of her parents and helps him to seek love again. This novel tells the heart-rending story of Paige Noble, a young girl who is the only survivor when her parents and brother are murdered by a Chicago gang. 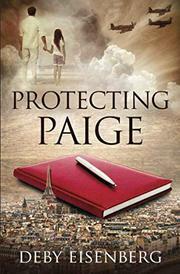 Now orphaned, Paige’s legal guardian is her closest surviving relative, dashing photographer Maxwell Noble. Though Maxwell, a womanizing celebrity artist who was estranged from Paige’s parents, seems like an unlikely candidate to adopt the girl, he promises to take care of her and raise her as his own. Joining this duo is Gladys Barker, mother of one of the gang members who committed the crime. Gladys, desperate to make amends, stays by Paige’s side while she is in the hospital and is overjoyed when the girl remembers that Gladys’ son Darren actually saved her from the other gang members. Paige and Gladys move into Maxwell’s large Chicago apartment, and the trio forms an unlikely makeshift family. The love they develop sustains them as Paige grows older and begins to investigate some questions about her family’s past. For example, who hurt Maxwell so badly that he is unable to commit to any woman? Who took the mysterious photos of her mother that Paige finds in an old trunk? And why did her mother insist that Paige never practice Judaism, the religion of her ancestors? The answers plunge Paige and Maxwell into the past but, ultimately, propel them into a new future together. Eisenberg (Pictures of the Past, 2011) tells a compelling story here. The author chronicles Paige’s evolution, detailing her initial fears that she would somehow lose her uncle (“When he went out in the evening, she would sit on her bedroom window seat, awaiting his return like a worried mother looking for her teenage daughter after a date”). The plot, however, turns predictable; readers will most likely guess how Paige and Maxwell will affect each other’s lives and how their search for love will end before the tale’s conclusion. And some of the writing is overly flowery, with too many lines like “Everything that happened just led me down a road and a turn in the road and a detour in the road, until the road led me to…you.” But overall, the novel remains engaging, if a little syrupy, in its unfolding. A sentimental but moving family saga.